Our Live Oak location’s address is 7913 Pat Booker Rd, Live Oak, TX 78233. This location is in the Live Oak Crossing Shopping Center and movie theater complex. This is our newest location in the San Antonio area. 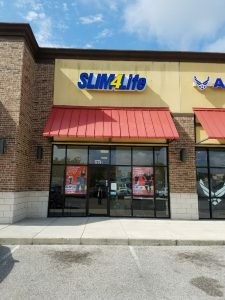 Our personalized programs and our counseling staff work one on one with our clients , which is why Slim4Life has been voted best weight loss center 4 years in a row. If you need to lose 20 – 40, even 100 pounds, we are your weight loss center. If you want to be Slim4Life, call us today, the staff at Live Oak are waiting to help you . We are here for you so you can lose weight the fastest possible and feel great. Make an appointment at our Live Oak weight loss center today!